The bathroom is one of the most important rooms in the house. In fact, it is second only to the kitchen regarding how much attention prospective home buyers pay to it. If you are redecorating your home at the moment and would like to ensure that your property is attractive to prospective buyers, then it is well worth spending a little extra time and thought on things like bathroom wall tiles, to make sure that your bathroom looks as good as possible. UniqueTiles custom bathroom wall tiles are a great way to make your bathroom look good without breaking the bank. You can get custom bathroom wall tiles to suit any style of home. One of the most popular styles that we create for our customers is sea views and beaches. The water look suits the purpose and tone of the bathroom and is far more polished, attractive and luxurious looking than a simple pastel coloured or blue and white room. Some people choose to cover the whole of the bathroom in tiles, and this works well if you have a large, open room. However, people who have smaller bathrooms may want to take advantage of light and reflections to make the room look bigger. Using a mirror on one wall, and partially tiling another, creates the illusion that the room is much bigger, brighter and airier than it is. 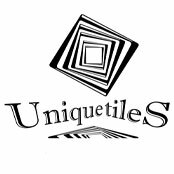 At Unique Tiles, we specialise in the creation of custom bathroom wall tiles and tiles for kitchens. Our custom-printed, carefully kiln-fired tiles can turn even the most humble of bathrooms into one that would not look out of place in a palace. We can turn any design that you can create a tile-by-tile design to cover all or part of your bathroom wall. From cityscapes or beach views, to family portraits and spectacular artworks, we can recreate any design of your choosing. If you are planning on selling your home in the near future, you should try to pick a neutral design for each home, so that prospective buyers do not take an instant dislike to the decor. Many people respond instinctively to decorations and may write off a home that is perfect for them simply because they cannot imagine themselves living there the way it is decorated right now. If they do not have such a negative reaction, and simply feel neutral about the decorations, they are more likely to think about buying the house and redecorating. If, however, you do not plan on moving soon, you do not need to think about making sure that the property has a universal appeal. Instead, you can focus on the designs that you love. This means that you can install custom printed tiles that reflect your interests and passions. Perhaps you are an aviation buff, and you want to have a picture of a gorgeous aircraft in your bathroom, or you are a huge fan of a sports team and want their logo on the wall. When you own your own home and do not plan to move anytime soon, you can do whatever you want with the decorations. Why not take advantage of that freedom and do something truly unique and special next time you re-tile your bathroom walls? When wanting to escape from the stresses of everyday life, there are few places that provide more of a sanctuary than your bathroom. When decorated properly, the bathroom offers the environment of a spa-like retreat where the worries of the world melt away as you sink into a warm bath, soothing music playing in the background, as candles flicker invitingly. Doesn’t that image sound invite? However, to achieve the Zen-like peace that a truly wonderful bathroom can instal, it is important that it starts off with the proper decorating scheme, and that the theme is then well-executed. After all, the feeling that a room brings out in the person that enters it is almost entirely about first impressions! One of the best ways to stunningly execute a fabulous decorating theme in your bathroom is to finish the design off with beautiful custom bathroom tiles ideas. There are few things in the world of decor that can equal the impact of a stunning custom mural or mosaic composed of tiles. In order to spark some bathroom tiles ideas for your particular theme, here are some ideas about the ways that custom bathroom tiles can be incorporated into some popular bathroom decorating themes. In fact, if your theme is one of these (or close to it), then you may even find an idea that you want to use for yourself! When people think of the bathroom, they generally think about water – and what is more appropriate as a theme with water than the ocean? When creating a custom tile work to accompany an ocean thing, there are various angles you could take on the idea. First of all, you could have a mural created that depicted an undersea paradise, complete with sea creatures and gently waving kelp. Additionally, the inclusion of some beautiful and interestingly-shaped coral adds visual interest and the ability to bring in lovely red shades of colour to the design. Alternatively, you can focus on the part of the ocean that is visible from land, the surface, and have a tile mural created that depicts a crashing wave or the glassy surface of a calm sea. There are very few natural environments which are as innately peaceful and beautiful as the forest. If your bathroom is forest themed, you can include visual elements in your bespoke tiles design such as pine trees and pine cones, open meadows and crystal clear lakes, log cabins, and mountain vistas. Whether you have a beloved home away from home in the mountains or the forest is merely a gorgeous idea, you will be transported there every time you lay eyes on your woodsy custom tile mural. When pursuing a design scheme that is as rich in history and flavour as art deco, there is any number of directions that you could take your custom tile mural. First of all, you could create a design that is not a photo-realistic picture but rather is simply a geometric pattern that showed up quite frequently in the art deco design theme. Alternatively, you could use a tile mural that showed classic art deco style buildings that epitomise that architectural style, so prevalent in the Jazz Age. Take a look at our gallery, and maybe it will inspire some ideas that will suit your style. When deciding to turn your bathroom into a retreat, the most important thing to remember is that you must focus on creating an atmosphere in the room. One of the best ways to do this is by using creative bathroom tiles ideas to enhance the theme that you have chosen. You will never regret it! If you have any questions about how we create our tiles or the kinds of designs that translate best on a big wall, please do not hesitate to give us a call. We would be happy to help you get the bathroom of your dreams.